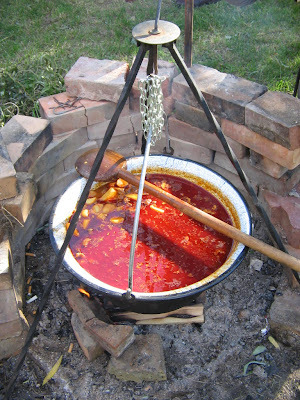 I’m sure that you have ever heard about the Hungarian Bogrács, or Hungarian bogrács gulyás (goulash). Actually do you know what is the exactly meaning of bogrács? 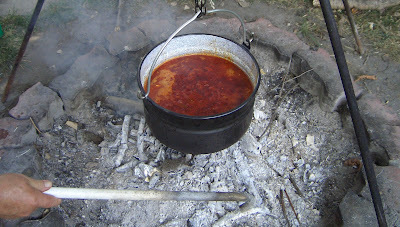 Bogrács means the big pot over the wood fire, like on these pictures. 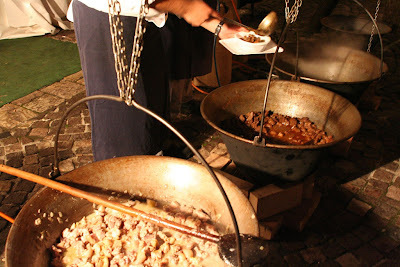 Our "bogrács" word is Ottoman Turk of origin "bakrac" means copper-kettle and the use of the stew-pot is originated in the nomad civilization, which you can read more about here.